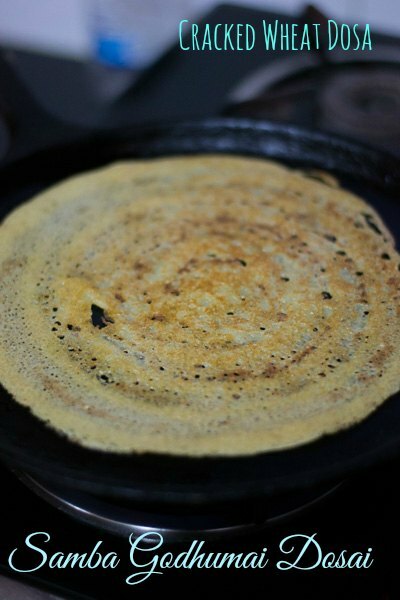 Samba Godhumai Dosai / Broken Wheat Dosai. Healthy and easy to make recipe for South Indian Tamilnadu Samba Godhumai ravai / Cracked Wheat Dosai. With step by step pictures. This is a recipe to do if you have very little regular dosa batter and you are breaking your head for choices in the kitchen. I learnt this recipe from Vinodh’s aunt Prema Amma long time back when she visited us in California. She would do these kind of jiffy recipes which would turn out to be super hit. I like her recipes as they are super tasty and can be made very quickly. 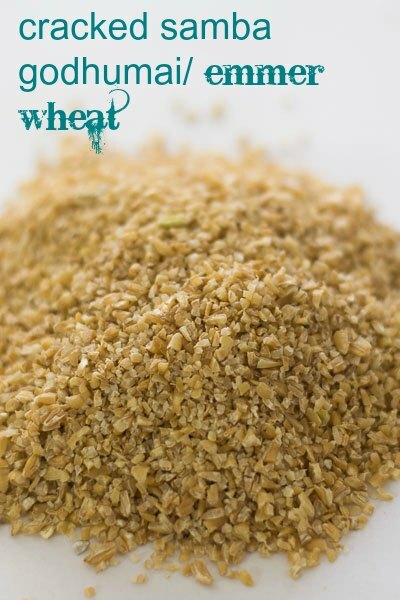 More over this recipe uses almost 90 percent cracked wheat – samba godhumai ravai. 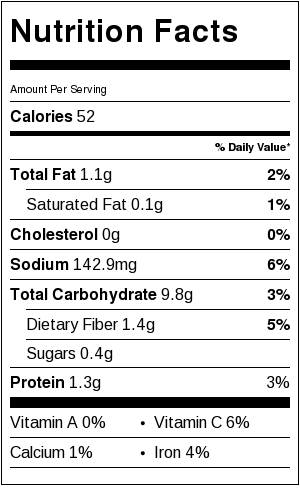 Its super healthy and super delicious. I do it almost every week. Don’t fret when you have very little dosa batter. Make this Samba Godhumai dosai and your entire family will love you for this. If you want to learn more about samba godhumai go here. Here is how to do the batter. Soak samba godhumai (cracked emmer wheat), onions, cumin seeds, ginger, curry leaves, dried red chillies and salt. Add more red chillies if you want it more spicy. I used 1 cup-250 ml of wheat. So I soaked in 2 cups – 500 ml water. So the water ratio is 1 cup wheat : 2 cups water. Soak it for 20 minutes. Upto 30 minutes is fine. After soaking, grind it into a smooth paste. Do not use any additional water while grinding. The soaked water will be sufficient. Add water only if you think its really necessary. We are looking at a consistency of dosa batter. Add in 2 cups of regular dosa batter. Old dosa batter works best. Mix everything well. Add little water if the batter is too thick. 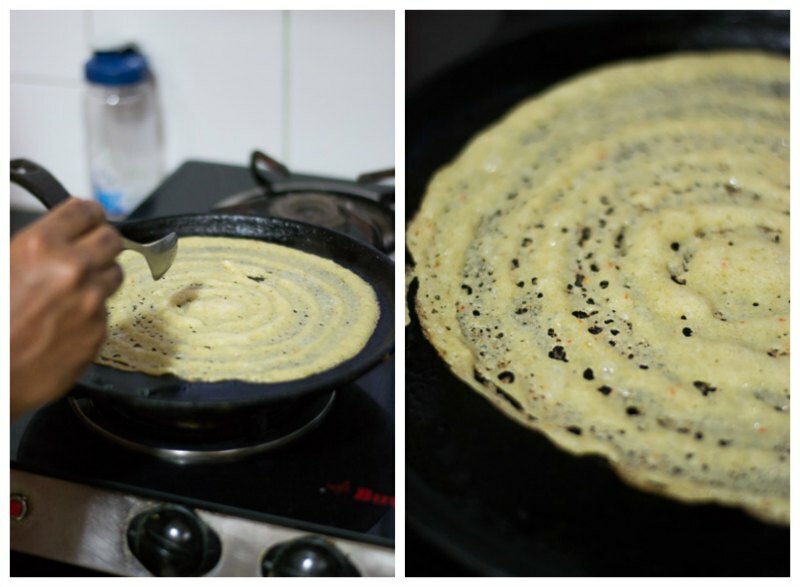 It should be to the consistency of regular dosa batter. Heat a dosa pan / skillet until hot. Let the flame be at medium. Pour a ladle of Samba Godhumai batter onto the skillet. You can gauge the consistency of the batter from the below picture. 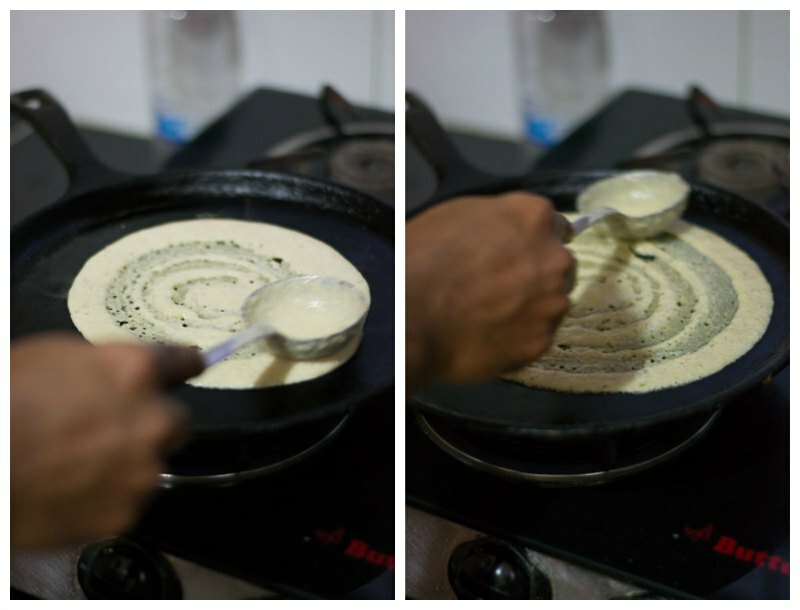 Using the back of the ladle spread Samba Godhumai batter into a round. Sprinkle 1/8 teaspoon of oil onto the pan. Let it cook for 30 seconds until the sides are brown and little brown spots start to appear. Flip carefully with a thin metal spatula, and cook until browned. Upto 30 seconds more. Transfer to a plate. Continue with the remaining batter. Serve Samba Godhumai warm, with chutney. The best cast iron pan now coming to your kitchens from Coimbatore. 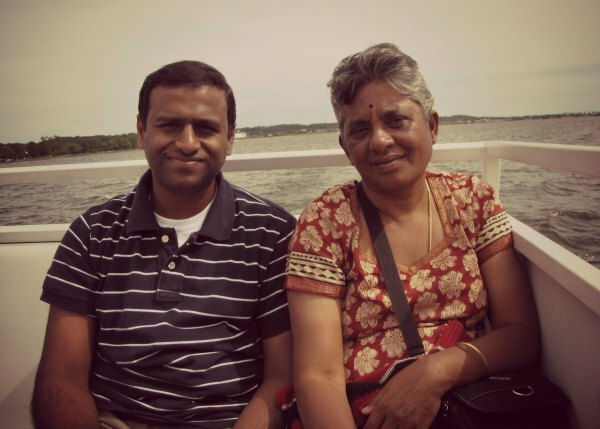 The person behind this wonderful venture is my school buddy Santosh Leelakrishnan. Proudly made in India and very reasonably priced. A must have!!! Do check it out! There are other skillets too! Don’t miss. Healthy and easy to make recipe for South Indian Tamilnadu Samba Godhumai ravai / Cracked Emmer Wheat Dosai. Soak samba godhumai (cracked emmer wheat), onions, cumin seeds, ginger, curry leaves, dried red chillies and salt. I used 1 cup-250 ml of wheat. So I soaked in 2 cups – 500 ml water. So the water ratio is 1 cup wheat : 2 cups water. Soak it for 20 minutes. Up to 30 minutes is fine. Heat a dosa pan / skillet until hot. Let the flame be at medium. Pour a ladle of batter onto the skillet. You can gauge the consistency of the batter from the below picture. 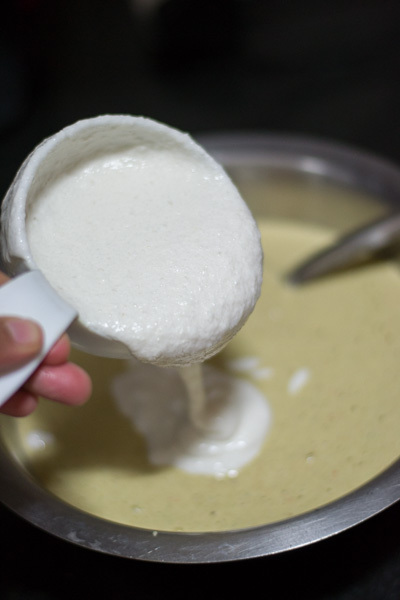 Using the back of the ladle spread batter into a round. Sprinkle ⅛ teaspoon of oil onto the pan. Let it cook for 30 seconds until the sides are brown and little brown spots start to appear. Flip carefully with a thin metal spatula, and cook until browned. Upto 30 seconds more. Transfer to a plate. Continue with the remaining batter. Serve warm, with chutney. We can try with whole wheat ? Yes. Its the regular dosa batter. 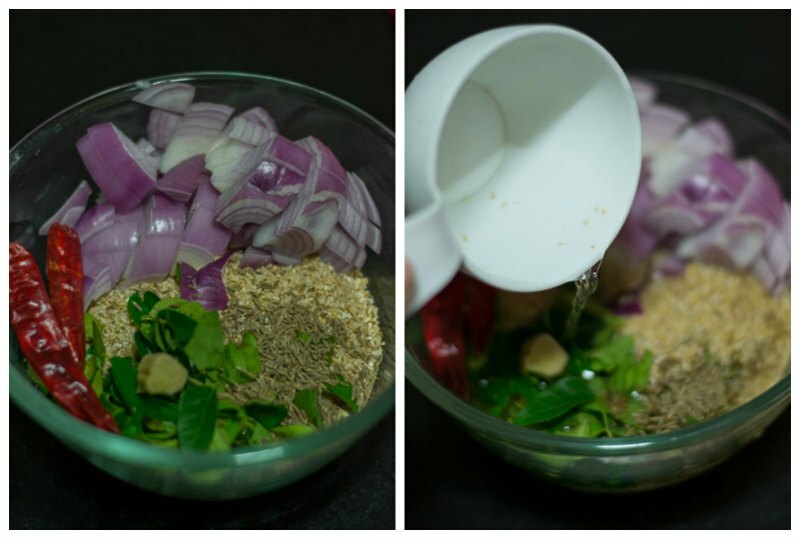 Hello Suguna, a very different and healthy recipe. Can’t wait to try it. Also you had mentioned about the iron skillet from Coimbatore. How can I buy it? Thanks. You can use the link and buy from amazon. Note: its available online only. தோசை ரொம்ப நல்லா வந்தது அம்மா. ரொம்ப நன்றி. உங்க Blog செம தூள். தமிழ் மொழி ல இருந்தா இன்னும் நல்லா இருக்கும். என்னோட அம்மாவுக்கு ஆங்கிலம் சரியா புரியாது. Thank you so much Indu. sorry jayasri. 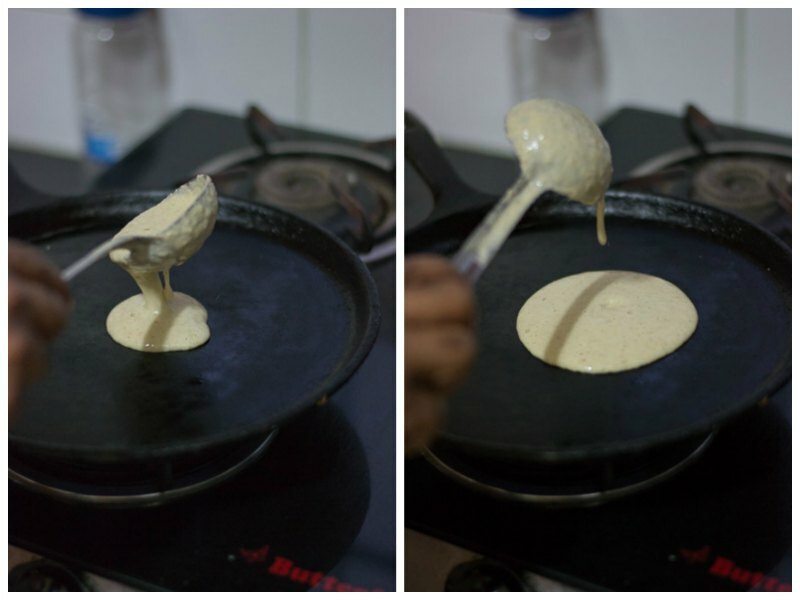 A little dosa batter is needed for preventing the dosa sticking to the pan. Dosa batter also helps in spreading the dosa. Can I make this dosa without onions?? Samba wheat dosa recipe really came out very well. Thank you for your wonderful delicious and nutrition recipe. Thanks for trying out! Happy Cooking. 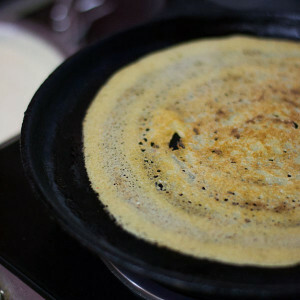 Thanks for the yummy dosa recipe, i have only prepared the wheat dosa with flour, this is totally unique. Waiting to try the other recipes on ur blog, keep the good work going. Very good recipes with different tastes and methods shown in your blog,thank you. If old batter is not available can we use refind flour. This batter works well with a little bit of dosa batter only. We need to grind onions chilli’s along with soaked broken wheat ? if i don’t have dosa batter what should i use instead? 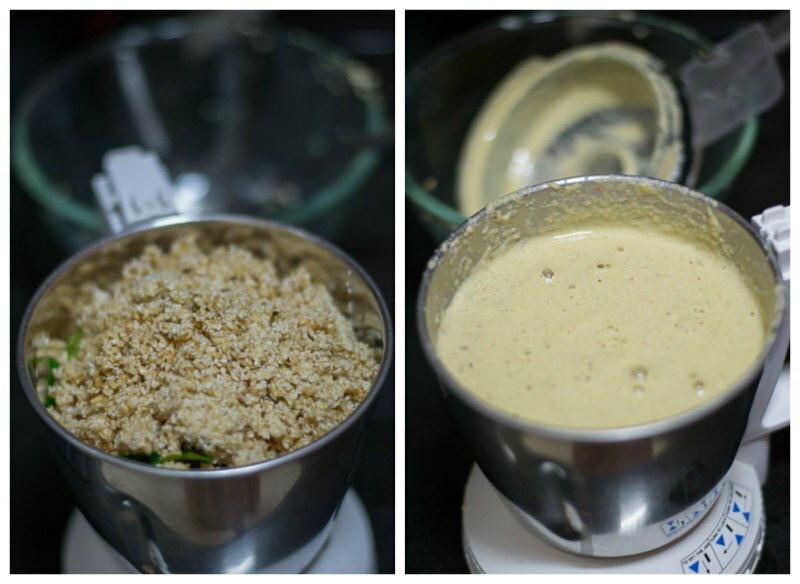 You definitely need idli dosa batter for this recipe. Hi Nice recipe.. can i make this without adding dosa batter? No. It wont come well if you don’t add dosa batter. Nice idea to use samba wheat other than for making upma. Came out nice. Thanx for the recipe.